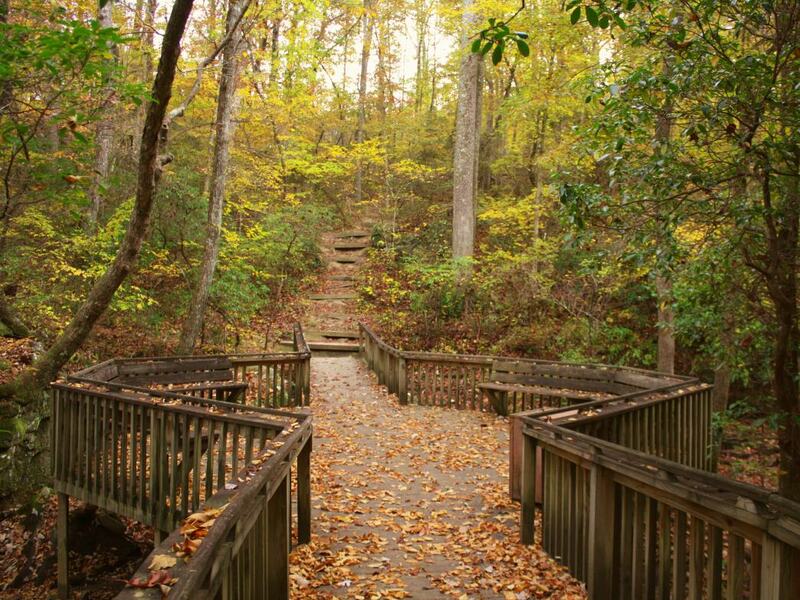 With more than 25 miles of hiking trails, DeSoto State Park has plenty of room to explore and discover. See how many waterfalls you can find along the way and keep an eye out for the abundant wildlife as well as diverse plant life. Majestic rock formations and the beautiful towering trees will keep you entertained no matter how far you’re hiking. And you have lots of options. Some trails are impressive, with steep uphills and tight switchbacks that are designed for more experienced hikers. But others are fine for families or those looking for a short trip. Trails are clearly marked to make sure you stay on the path that’s right for you. 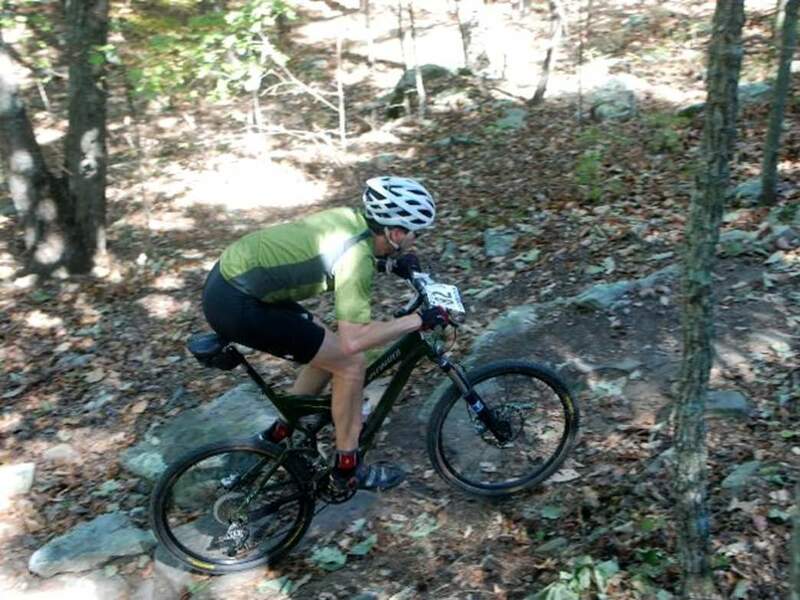 The 11-plus miles of bike trails vary from kiddie loops on the Family Bike Loop to thigh-torching inclines on the CCC Quarry Bike Loop. If you’re feeling particularly ambitious, take the DeSoto Scout Trail Exits (although bikes are not allowed on the DeSoto Scout Trail themselves), where bike racks and benches are located. The DST Exits are also a great way for bikers to access Little River Canyon . 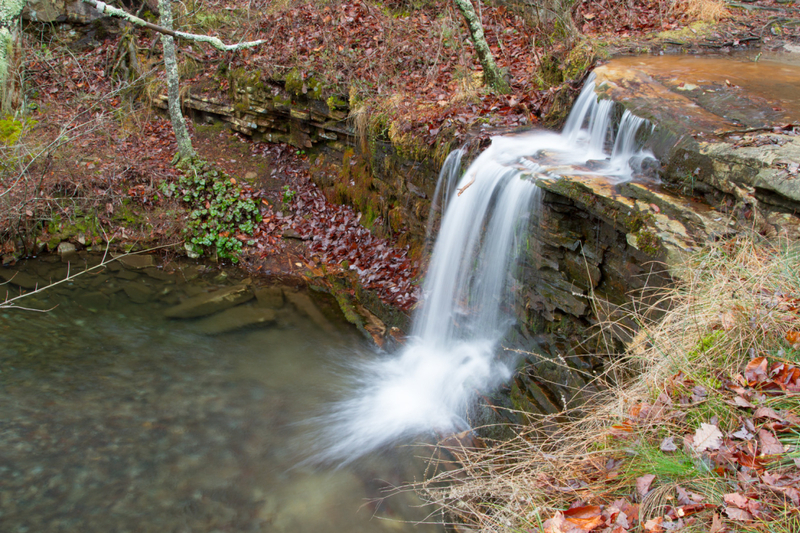 DeSoto State Park is known for the waterfalls , both big and small. The most well-known is 107-foot-high DeSoto Falls, one of the tallest waterfalls in Alabama. Lodge Falls is an easy waterfall to spot just behind the Lodge. Indian Falls is easy to locate from the wooden footbridge that crosses over the top. 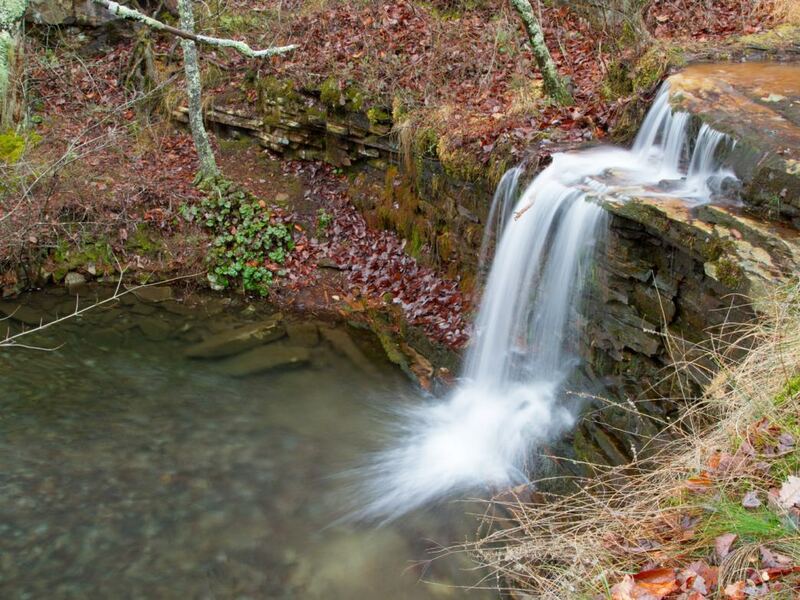 Laurel Falls is tucked away about three-quarters of a mile from DeSoto’s Country Store down the Orange Trail, a winding trail that is nearly as enchanting as the hidden falls. Just 10 miles south of DeSoto State Park is Little River Falls and Grace’s High Falls, located in Little River Canyon National Reserve. 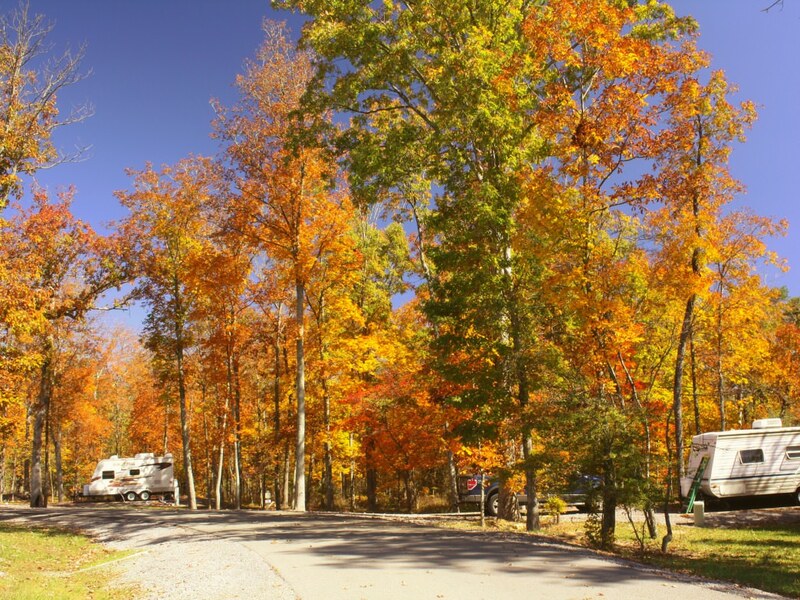 Not many other parks offer improved campsites , primitive camping, two backcountry backpacking camping sites, plus a variety of cabins and chalets. The improved campsites include power, sewer and water hookups and have two centrally located comfort stations that provide showers, restrooms and coin laundry. You can choose among 21 wooded primitive camping sites complete with fire pits and plenty of room for two tents. The backpacking campsites are truly unique, however: The Never-Never Land Backcountry Campsite is three-quarter of a mile from the Lost Falls Trailhead and has an 8 foot by 10 foot trail-side shelter available for use. The CCC Quarry Backcountry Campsite is 1.1 miles from the Country Store parking lot and offers an 8 foot by 10 foot open shelter. Rent a canoe or kayak and take a guided tour around the peaceful, flat-water section just above DeSoto Falls. A large picnic area is available nearby. 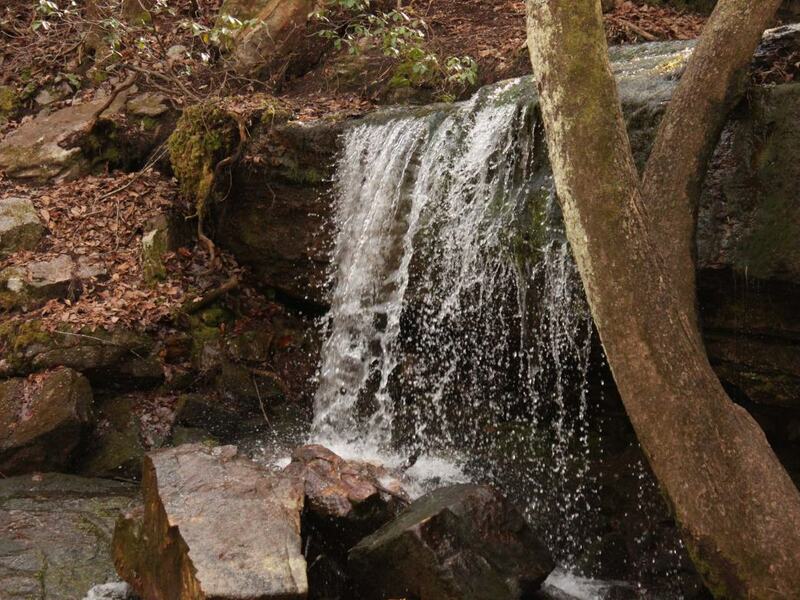 Take a walk along the cascading falls, picking your way around large boulders for a photo op with breathtaking DeSoto Falls. Or bring your own equipment and take the short drive to Little River Canyon where you’ll find adrenalin-rushing Class III and Class VI rapids that will put your paddling skills to the test. DeSoto State Park has partnered with One World Adventure Company to introduce more people to climbing and rappelling in the park. Take a guided rappelling adventure for families with kids ages 7-10. For the grown-ups (ages 11 and up) learn to rappel down an 80-foot cliff for beginners or those looking to advance their skills. For the ambitious, take the advanced adventure, which will allow you to rappel down a 130-foot sandstone cliff not far from DeSoto Falls. 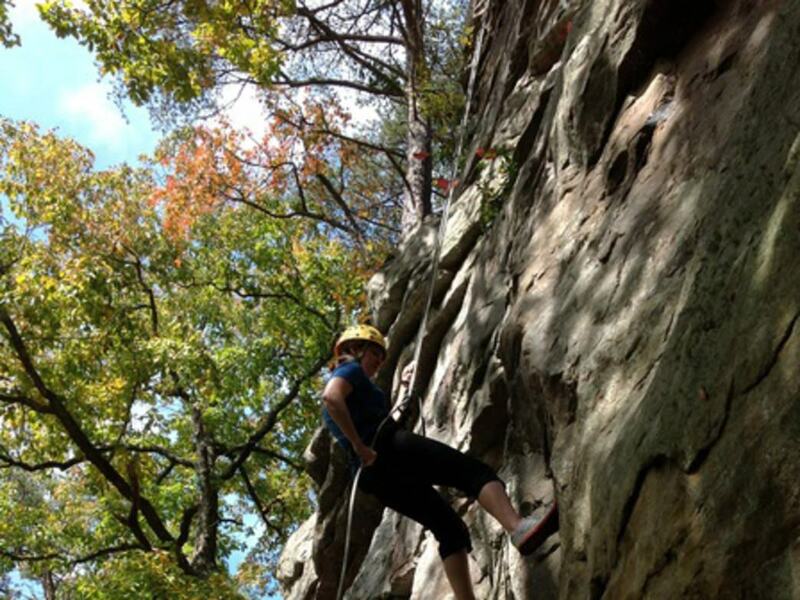 Guided rock climbing excursions are available as well. For the experienced, pack up your climbing gear and head over to Little River Canyon where you can climb any of the cliffs on your own (without adding or removing already existing bolts). 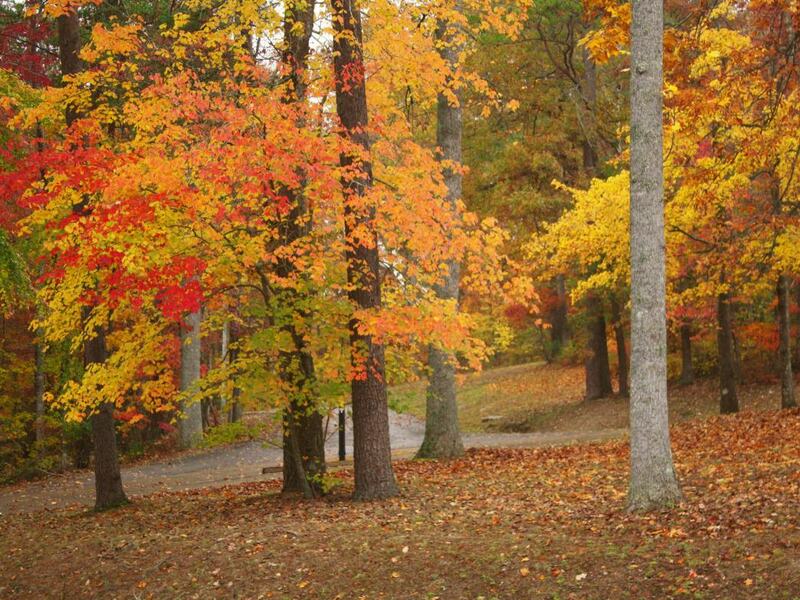 You won’t believe the shades of orange, red and brown that light the trees aflame with color in the fall. Poplars turn a bright yellow, while dogwood limbs are covered in rust-colored leaves. Hickories boast a golden hue and maple trees rival a brilliant orange sunsets. Catch DeSoto State Park at its finest in October and November for unforgettable —and colorful—fall memories. La Caravelle Peninsula: The Most Beautiful Hike in Martinique?